setting up shop at OrangeBeautiful for the day! *plus additional Saturdays in December! Holiday PopUp #3 will take place Saturday, December 17th! OrangeBeautiful is thrilled to announce its newest venture: a series of Pop Up Shops featuring SHOW of HANDS Vendors! 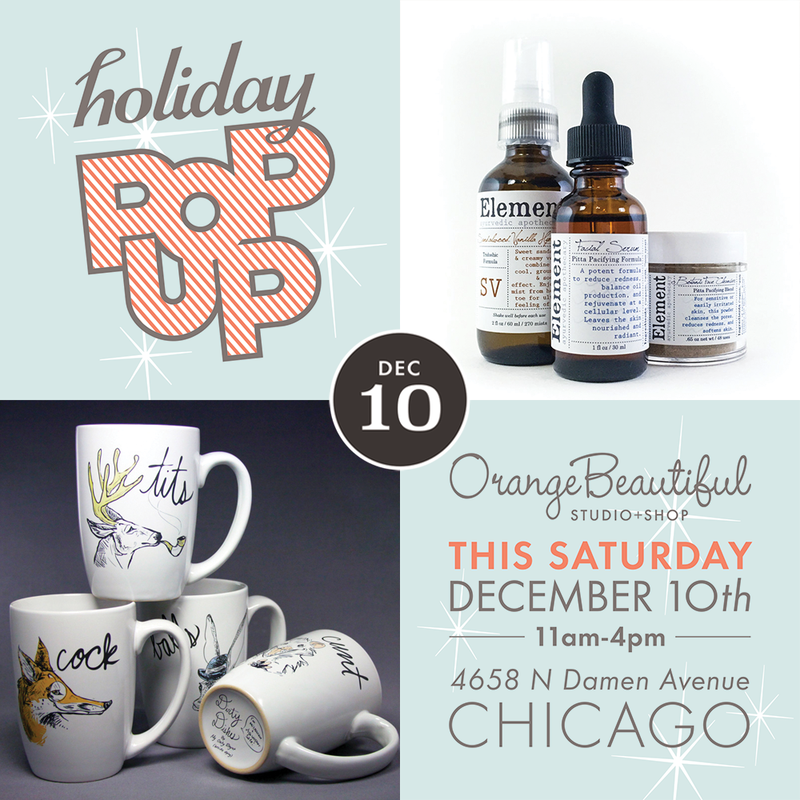 Held the first Saturday of each month, these events will take place at OrangeBeautiful Studio+Shop located at 4658 N Damen Avenue in Chicago. Each Pop Up Shop will feature a carefully curated group of 3-4 makers "setting up shop" in our space for the day. These artists, designers & craftspeople will be on-site for the entire day (11am-4pm), selling their products directly to you, the shopper! Our goal is for those who attend our Pop Up Shops to get a little taste of what it's like to shop at the "full-size" SHOW of HANDS, but in a smaller, more intimate setting. Continue reading below to see which makers will be selling at our next Pop Up Shop... we look forward to seeing you soon!